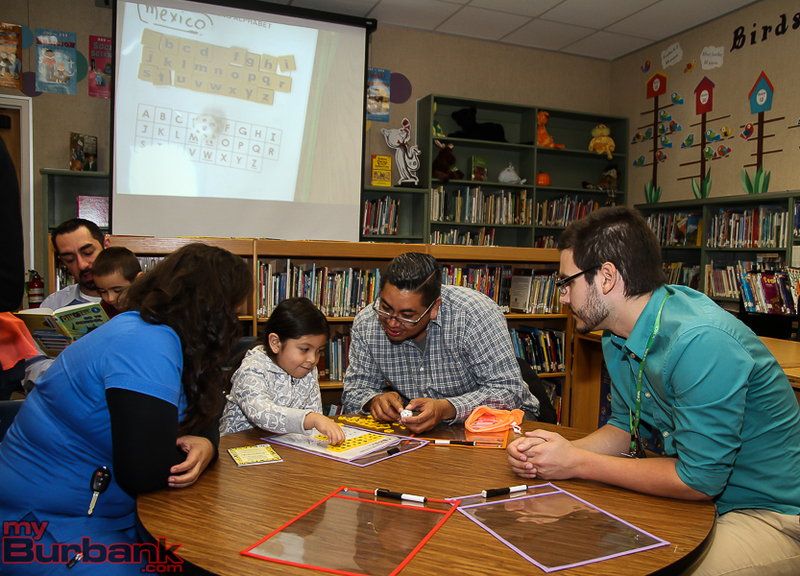 Approximately 100 students and parents attended the McKinley Elementary Family Literacy Night Tuesday evening, November 10. 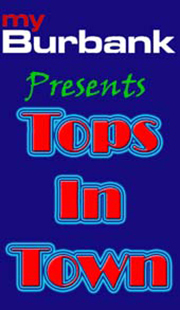 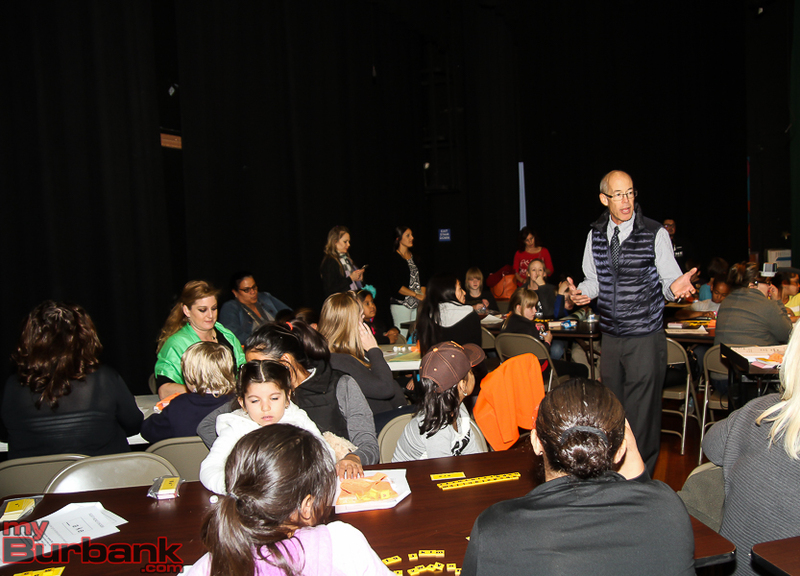 Organized by Principal Liz Costella, the event attracted about 50 different families to the school for literacy games and after-dinner fun. 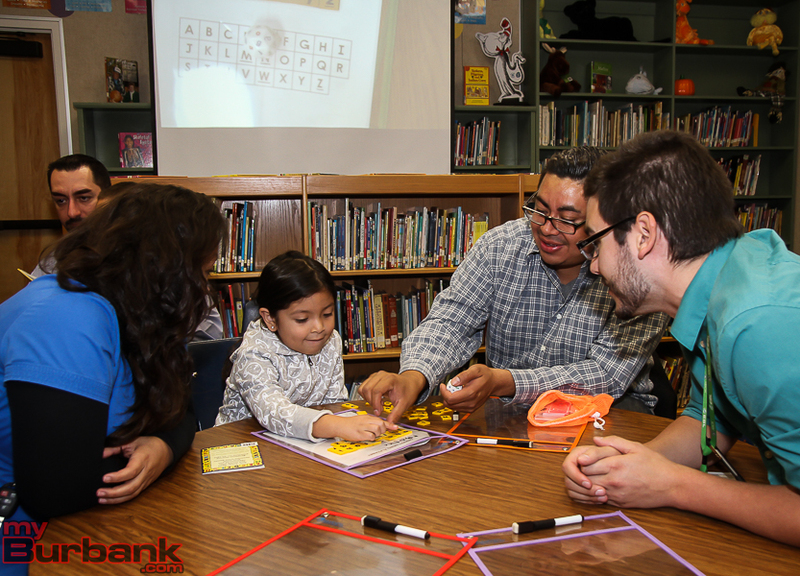 Jane and John Felling from Box Cars and One Eyed Jacks initially conducted literacy lessons in every classroom from Transitional Kindergarten (TK) through fifth grade during the school day on Monday, November 9. 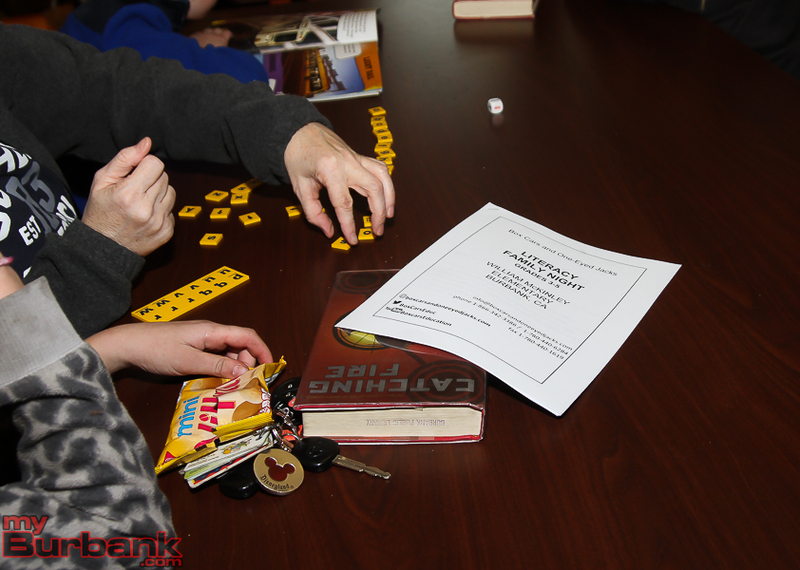 The demonstrations showed teachers some of the literacy strategies in action. 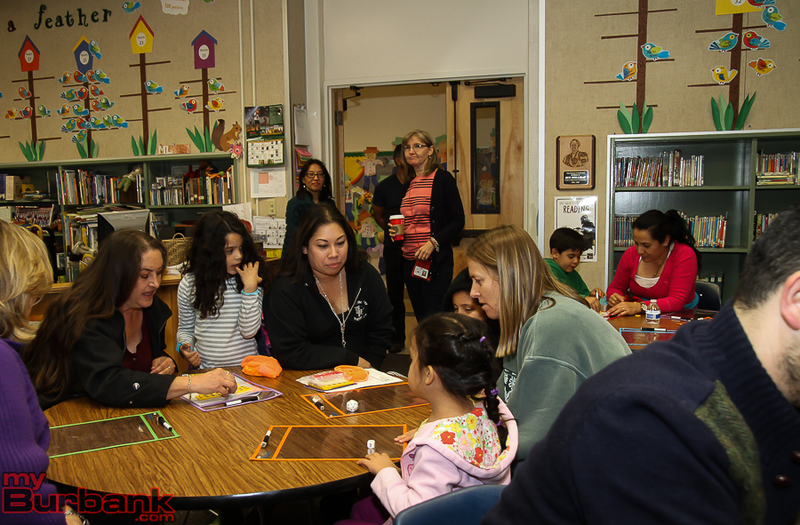 The Fellings returned Tuesday evening to present a family-focused literacy evening. 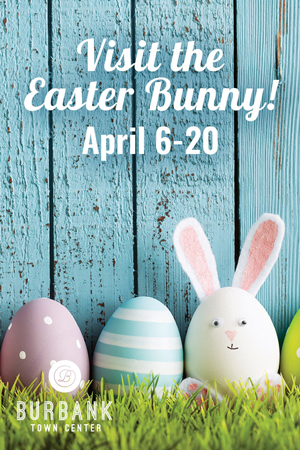 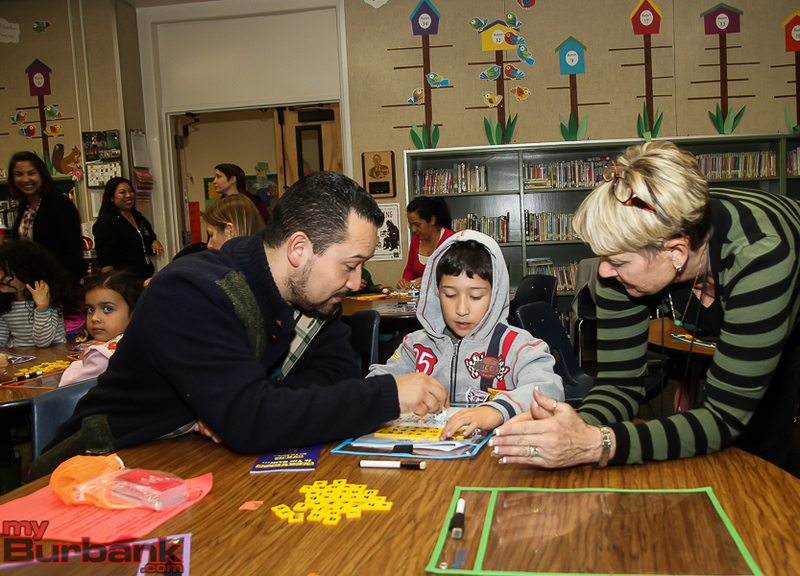 Jane worked with students in TK through first grade in the school library while John supervised a group of second through fifth grade students. 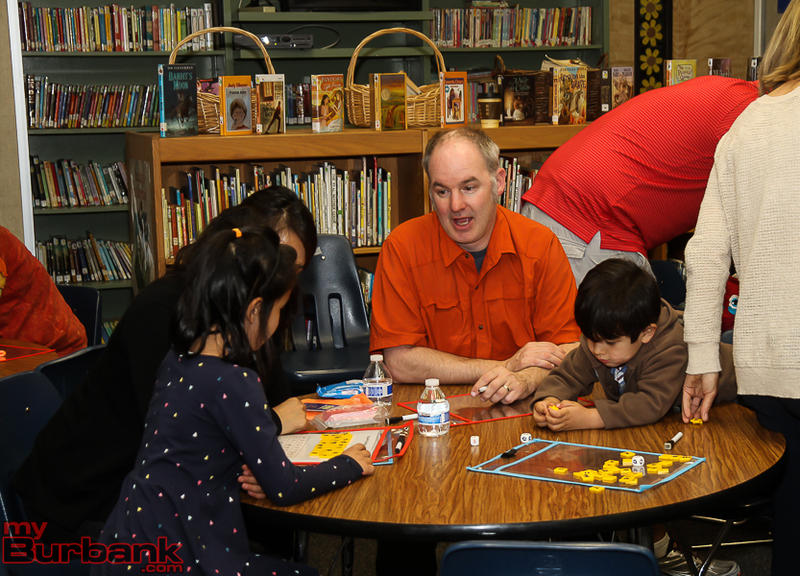 Thirteen teachers also attended the McKinley Elementary Family Literacy Night to facilitate the games and learning. 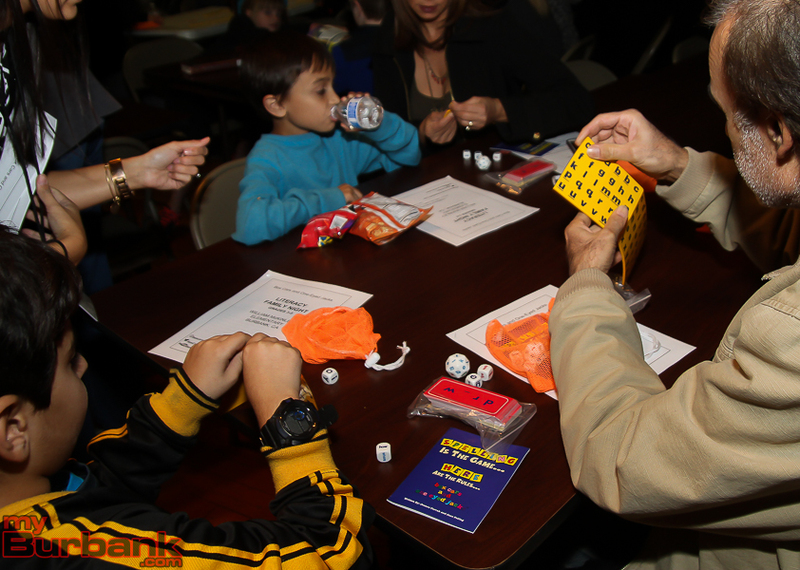 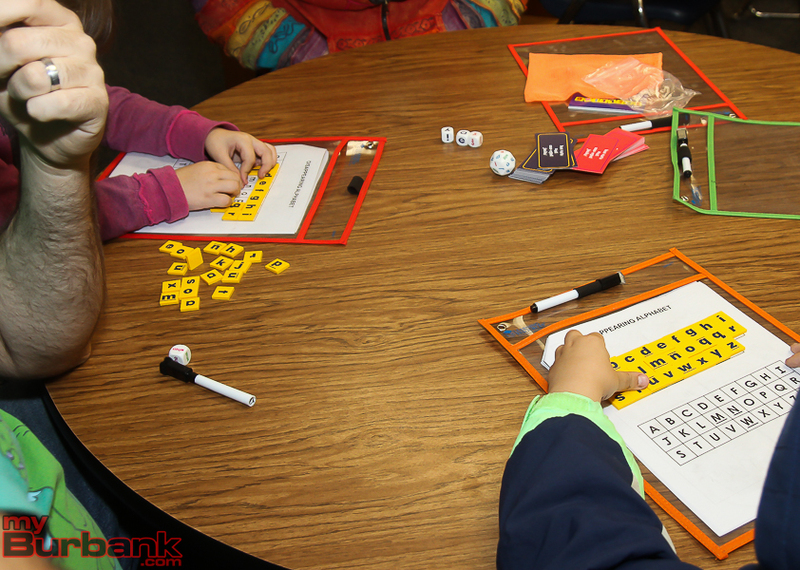 Each family left the event with a literacy kit to continue playing the games together at home. 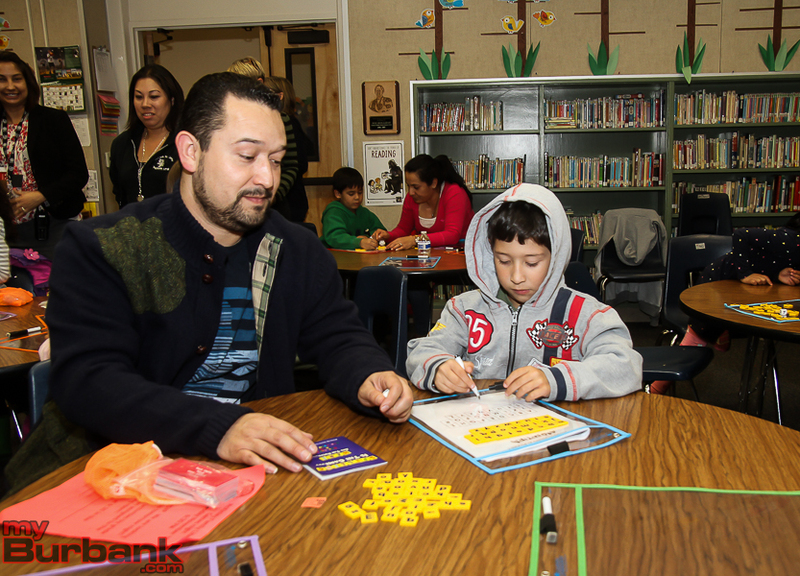 This entry was posted in News, Schools and tagged family literacy night, McKinley Elementary on November 13, 2015 by Lisa Paredes.